Former President Barack Obama’s face appeared on the largest JumboTron in the country, which is located in Newark, New Jersey’s Prudential Center, home of the New Jersey Devils. 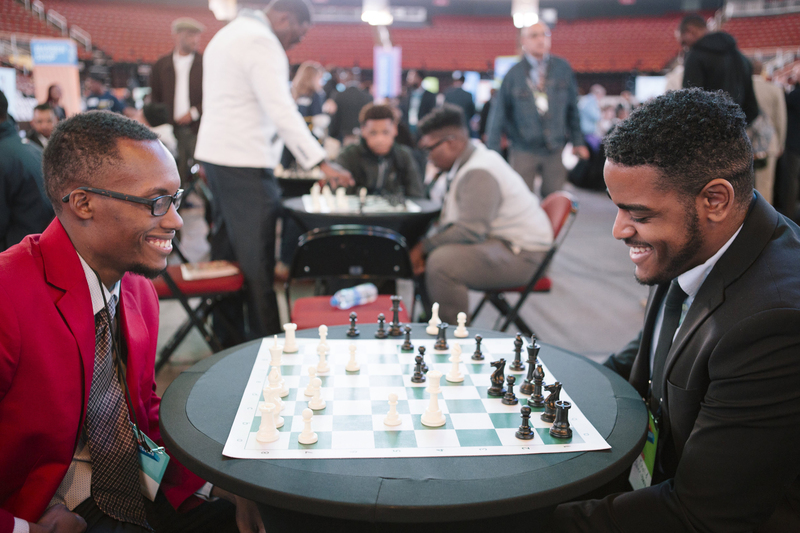 In the venue, more than 1,200 young men were offered haircuts, shoeshines, tie and blazer fittings and tailoring services for this year’s My Brother’s Keeper Alliance Pathways to Success: Boys and Young Men of Color Opportunity Summit on Tuesday. And that’s not all. Nearly 300 boys and young men of color walked away with on-the-spot job offers or a direct pathway to employment as part of MBK Alliance’s participation in the Obama Foundation’s initiative in Newark. 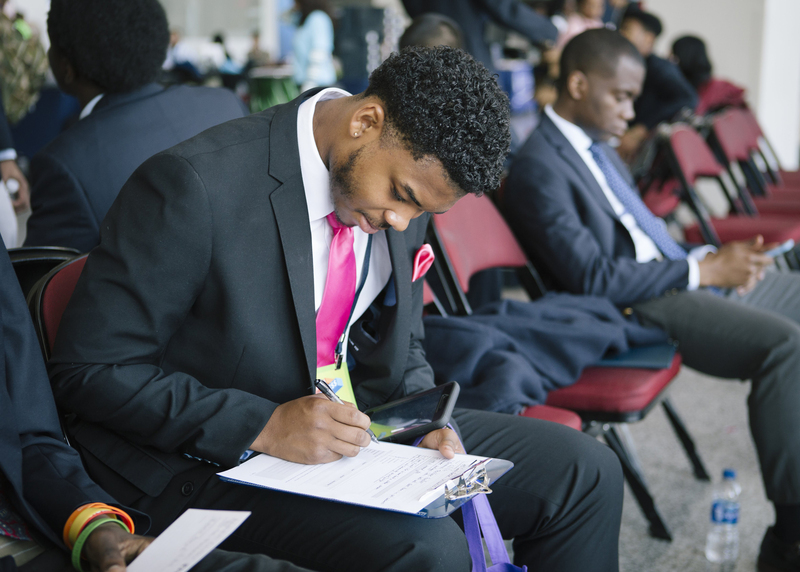 Since 2016, the MBK Alliance has hosted three Opportunity Summits in Oakland, California; Detroit; and Memphis, Tennessee, resulting in more than 1,000 job offers. Newark was one of the first cities to accept the My Brother’s Keeper Community Challenge. In partnership with Mayor Ras J. Baraka, Prudential Financial Inc. and the Prudential Center, the daylong summit provided 1,000 young men of color and other underserved youths between the ages of 16 and 29 with interviews with employers for on-the-spot hiring, immediate access to community resources and social services, connection to mentors, an opportunity to discuss solutions to youth violence, and a chance to participate in career preparation and leadership development training. Smith identifies with the participants and with the boys and men in the Newark community. “This work is deeply personal for me,” Smith said. “I was one of the kids that we are serving today. I grew up in western Massachusetts to a single mom. Both of my parents were 16 years old when I was born. We grew up in a poor community that was certainly under-resourced, and to a community that could be violent, and to a community where opportunity certainly wasn’t clear. Tragedy hit close to home for Smith when his half-brother Tory was killed in 2009 at 27 years old. “We lived down the street from each other,” Smith said. “Spent weekends together. Vacations together. Playing together. And one misstep, he finds himself in a system he couldn’t get himself out of. Dennis Hickerson-Breedon was born in Hackensack, New Jersey, but his passion and work are in Newark. 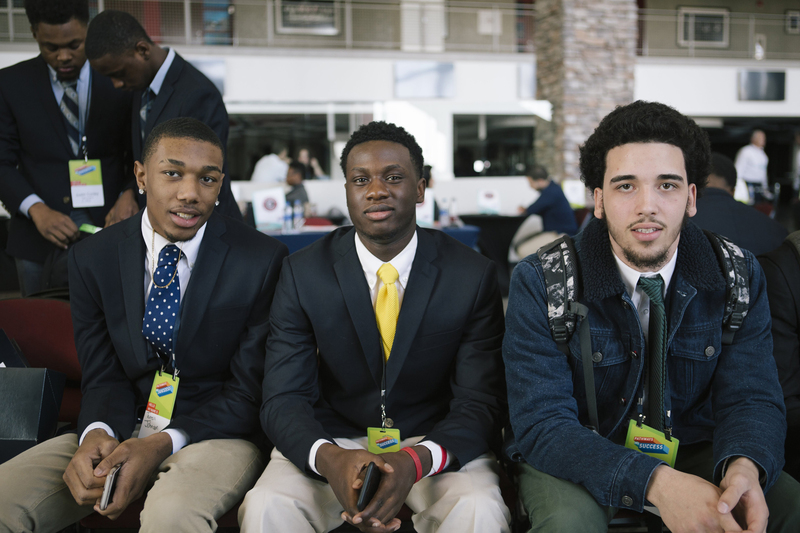 For the MBK Newark Fellow and Opportunity Summit participant, the event was energy-filled. Hickerson-Breedon, 28, finished at Hamline University School of Law in St. Paul, Minnesota, and found his way back to Newark. He recently passed the New York bar and is waiting for admittance in New Jersey. There, Hickerson-Breedon began to cultivate different relationships, which led him to the My Brother’s Keeper Newark Initiative. Hickerson-Breedon hopes the MBK Alliance continues to encourage other young men who are on the rise.